The Matrix Organizational Chart represents an organization that is divided on functional departments, but at the same time different employees from each department are combined in teams to work together on a particular project. 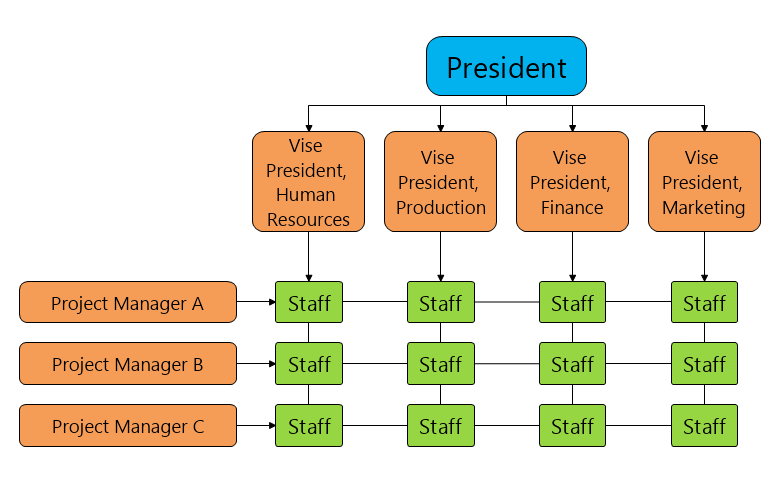 Within this organizational structure, each employee reports to both managers – the department and the project manager. This organizational structure is suitable for companies oriented in the development of new technologies and products.